Keeping your freezer stocked with ready-to-eat meals and leftovers you would otherwise throw out is a great way to save time, energy and money. Make sure you actually use that food by doing a freezer cleanse at least twice a year. Take inventory: See what is in your freezer and check the dates on each item in case you need to throw it out right away — write the "expiration date" on it with a sharpie before you put it in the freezer. For the food you can use, record what you have in each of the basic categories like protein, vegetables, fruits, starch, etc. Set a goal: Make the process a little more interesting and challenge yourself by setting a goal. For example, creating three weeks worth of dinners and not spending more than $100 on extra items to complete the meals. Get creative: With this step you have to think about what you can easily use instead of another item, like switching frozen kale for spinach in a pasta dish. 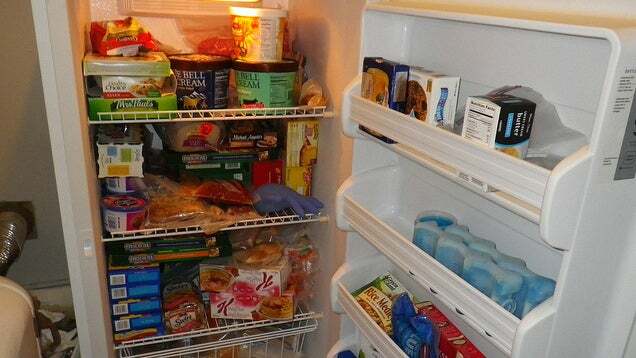 You might even want to do a little research to really maximise the contents of your freezer. Once your freezer is emptied out, you can organise it better so that things are easier to find (and use) before your next cleanse. For more details on the thinking behind this method, check out the full post linked below.